Are you one of nearly 3 million grandparents across North America raising your grandchildren as part of a grandfamily? You may have done all this parenting stuff before, but times have changed since you raised your own kids, and you likely never thought you’d be raising kids again. What has led to all these family issues and the growing need for grandparents to step up? Now more than ever, substance use and addiction have made many birth parents simply unfit for the job, whether the problem is alcohol, opioids, or other drugs. Family dynamics might also be undermined by parents’ mental health or medical problems, incarceration, or a simple lack of preparedness for family responsibilities. Whatever the reason for your new role, you must now help your grandchildren adjust to their extended family as part of their everyday life, through the best care you are able to provide. While your new role means that you will likely have to change the way you live, the kinship care you provide your grandchildren might make all the difference in the world. “In times when families and generations are blending, we are seeing more and more grandparents taking on parental roles. 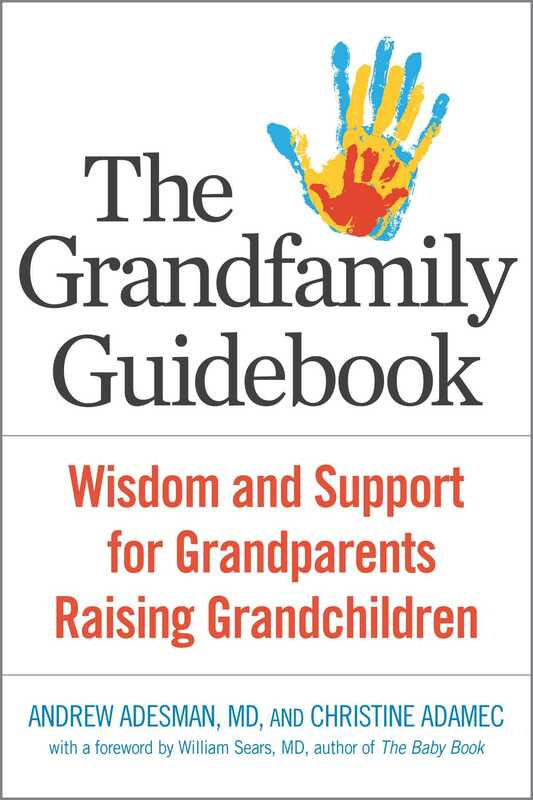 The Grandfamily Guidebook adeptly provides invaluable information and helpful tips to navigate the increasingly common scenario of grandparents raising their children’s children. As a surgeon who treats countless permutations of what composes a family unit, I see that now more so than ever the grandparent assumes a parental role. This book is a must-have guide to better navigate the territory of parenting as grandparents." “The Grandfamily Guidebook is one of the best resources available for grandparents raising grandkids. It masterfully interweaves suggestions for financial, academic and other types of ‘help’ with workable options for solving other everyday issues. The numerous quotes from grandparents ,who share openly their messy, heart-wrenching personal stories and lessons learned are touching and insightful. Easy to read and totally relevant."